The First Animatsu Anime Release - Gatchaman Crowds! 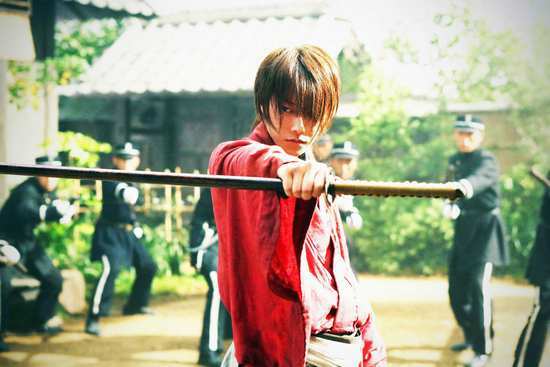 Kenshin Himura (Takeru Satoh) is a legendary swordsman, a hero in the wars preceding the turbulent fall of Japan’s Shogunate in the 19th century. Once feared as ‘Battosai the Killer’, with the arrival of the new Japanese age and nursing the pain of losing many of his companions he is now a lone wanderer, roaming the land seeking to be of service to those in need. Fate however, had taken hold of Kenshin’s future and was now guiding him toward a new destiny. Without warning he is summoned by Home Minister Toshimichi Okubo (Kazufumi Miyazawa), and is informed that Makoto Shishio (Tatsuya Fujiwara), his successor in the service of the new government, believed to be dead, is in fact both alive and plotting in Kyoto. Driven by a burning revenge Shishio commands a private army of bloodthirsty mercenaries and is planning to overthrow the government and will stop at nothing to take control. In that moment it becomes clear why he has been summoned; Kenshin is the only man alive who can find Shishio… and stop him. Kenshin must summon every warrior skill he possesses to fight dangerous and brutal enemies along fate’s journey; leading to the ultimate bloody confrontation… blade on blade, soul against soul. 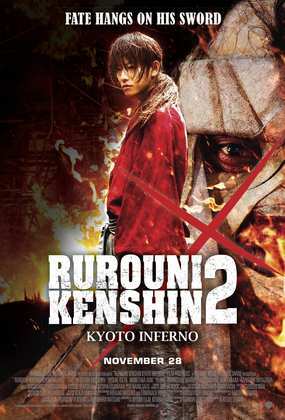 RUROUNI KENSHIN 2: KYOTO INFERNO (cert.15) is released in UK cinemas on Friday 28th November 2014, courtesy of Warner Bros. UK.